If you’re looking for a feminine and chic way to protect your tresses from the elements, a head wrap is the perfect way to achieve this. It also happens to be a ridiculously easy to way to hide a bad hair day, or to hide your hair while you are setting it for a particular style. 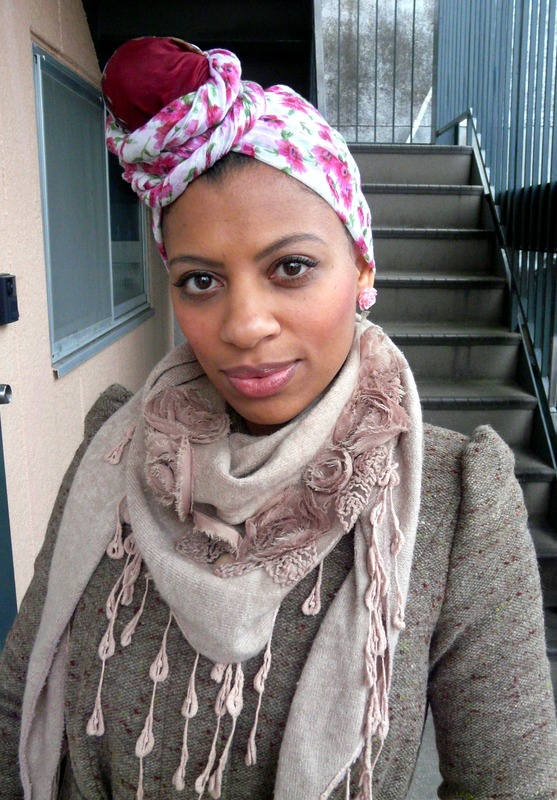 Before heading out I decided to wrap my hair up in this double scarf over the weekend as I had just washed my strands and put it into several chunky twists to set it. I felt ever so stylish out and about in town. Thanks. You should try it out. It can really be a life saver when you need it.